There's an increasing uptick in vendors taking responsibility for creating their own distribution chain, as well as upskilling future participants in the IT industry. Magda Hanekom, Business Unit Manager, Axiz. It's been said before. The future growth of the economy and employment in this country lies in the hands of SMMEs. While the government is doing what it can to encourage business to help SMMEs succeed, the onus is on business to play its part in supporting small business. The distribution chain is taking responsibility for creating its own channel by establishing SMME empowerment initiatives that not only provide product-specific knowledge to the SMME, but also helps them with everything from office facilities, to soft skills development, to certification. 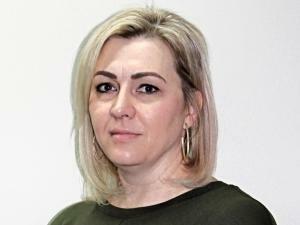 Magda Hanekom, business unit manager at Axiz says: "An agreement was reached with SITA whereby a certain percentage of government deals gets put into an SMME fund that is then allocated towards enabling and training SMMEs." The use of the SMME fund is governed by policies and procedures, so, for instance, participating SMMEs must qualify as Level 1 BBBEE contributors, they must have certain pre-existing technical skills, and they must actively participate in the programme. Hanekom explains: "This isn't an incubation initiative; it's an SMME development programme and, as such, is suitable for both mature SMMEs and start-ups. "The onus is on businesses to assist their emerging partners by establishing SMME development programmes that will give them access to the necessary software, hardware and business skills and help them gain traction in the marketplace. Additional benefits could include the provision of marketing support, access to the business' facilities for client meetings or presentations, and even advice from the in-house marketing team around use of social media or branding." By having access to a greater SMME community, participants get access to additional skills and experience while being able to learn from larger partners and leverage their ecosystems. Hanekom continues: "The goal is to grow the SMME channel to become mature, self-sustaining businesses so that they can go out and generate revenue from licenses and service sales." She adds: "Too many businesses conduct box-ticking exercises thinly disguised as SMME development and incubation and, at the end of the process, they walk away from the SMME and leave it to sink or swim on its own merits. This approach has been proven time and again to be unsuccessful." She believes that this is gradually changing as a direct result of government's firm commitment to empowering SMMEs. "Government doesn't want to deal with bigger corporates anymore; it wants to deal with SMMEs. So, it makes good business sense for bigger enterprises to partner and help grow SMMEs. This is beneficial to everyone." Eventually, there'll be a consortium - or layer - of trusted SMMEs that can interact with government (although not exclusively) that the bigger players in the market can leverage. The end goal is to create a pool of SMMEs with diverse skills that operate in all sectors, so that, should an SMME identify an opportunity that is outside their area of expertise, they can simply pick up the phone and ask for assistance. An important element of developing SMMEs is providing training in soft skills, such as general business training, operational training and even office software training. Hanekom says: "Over and above the need to develop SMMEs for the future economic growth of this country, there's also a generally acknowledged scarcity of certain IT skills in South Africa. The only way to address this is by upskilling the youth to enter the IT sector by providing them with both the necessary skills and workplace experience. It might take three or four years before we start reaping the rewards of this type of initiative, but we have to start somewhere." Hanekom is a driver of a graduate programme that upskills graduates and allows them to do practical assessments, while gaining workplace experience. Some of the graduates can be absorbed into the host company at the end of their training period; others are able to get a job immediately because they have both formal certifications and practical experience. Hanekom concludes by saying: "The type of initiatives described above require collaboration and cooperation between the bigger players in the IT space. Businesses need to be willing to share their expertise and facilities for the betterment of all. We're starting to see a growing trend towards businesses working together to take responsibility for creating the skills and SMMEs that are required to take this industry forward. I feel that companies have a responsibility to give back, while at the same time ensuring the future success of our industry."